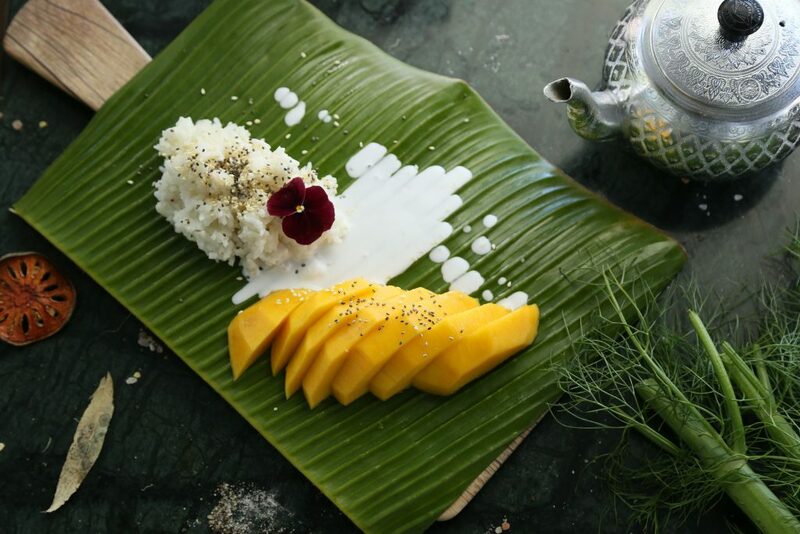 Mango sticky rice is a traditional Thai dessert made with glutinous rice, fresh mango, and coconut milk, and eaten with a fork, spoon, or sometimes the hands. Although originating in Thailand, it is consumed throughout the Indochina region of Southeast Asia, including Laos, Cambodia, and Vietnam. As the weather gets colder in the UK, I want to hibernate and for some reason, my palate leans towards all Asian dishes. This mango sticky rice dessert with coconut milk – a simple, heavenly Thai classic hit the dessert spot every single time. I have converted this recipe to Thermomix but used this BBC Good food recipe as a guide. Place rice, sugar, water, coconut cream and salt into the TM bowl and cook for 30 minutes, 10 degrees on reverse and speed soft. Test rice to determine if it is cooked. Cook 2-5 minutes longer if needs be. Cook for a further 10 minutes at Varoma temperature on reverse and speed 1. Decant and set aside in a bowl. Or set aside and use another TM bowl for the syrup. Place all syrup ingredients into a clean TM bowl and cook 10 minutes, 100 degrees, speed 3. Serve rice with lashings of syrup, sliced fresh mango and fresh whipped cream.